What can I say? I'm on a roll with the rustic, homespun look. 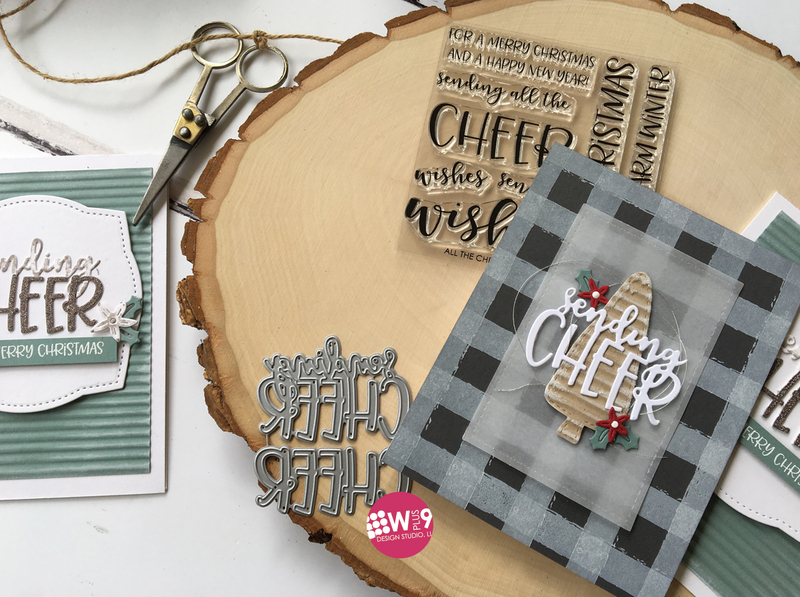 I've got a couple of cards to share with you today featuring our new Sending Cheer Die along with a special supporting appearances by the new All The Cheer stamp set, the Holly Jolly Die and previously released Stitched Holiday Icons Die. For the first card I started by getting all of my die cutting out of the way. 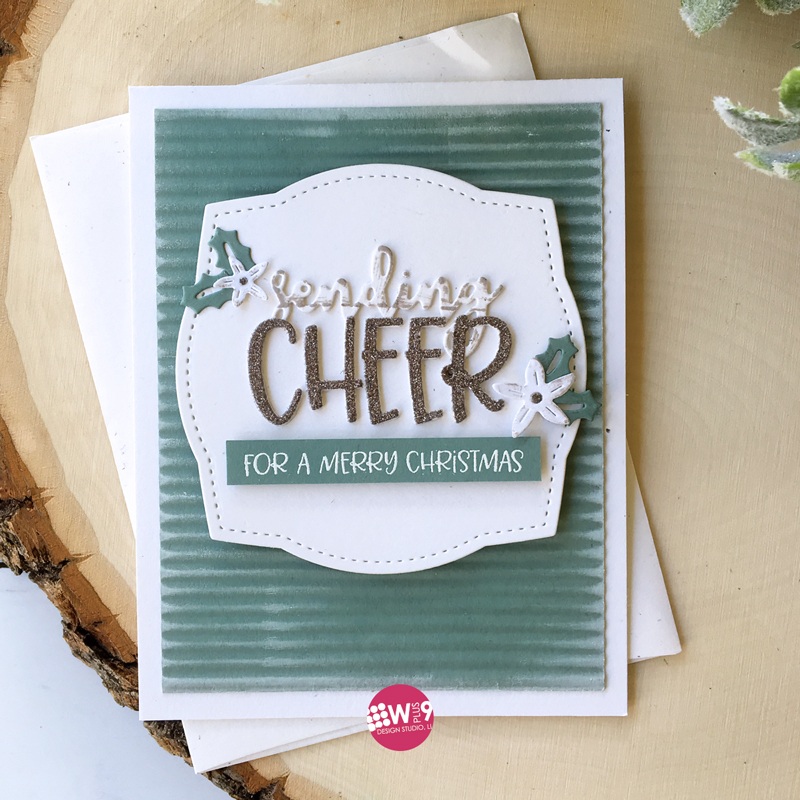 I die cut the "sending cheer" sentiment, the label, flowers and holly leaves all from cardstock. For the individual "cheer", I started by applying Stick It adhesive sheet to the back of some glitter cardstock. I then then die cut that as well. I adhered the glittered "cheer" directly over the "cheer" from the "sending cheer" sentiment. 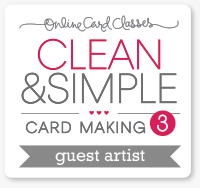 They are sized identically so that you can quickly and easily created two-toned sentiments. I added a little ink distressing using Warm Wool PURE COLOR Dye Ink to the "sending" portion of my sentiment and then adhered it to my die cut label using Multi Medium Matte. I heat embossed "FOR A MERRY CHRISTMAS" from the All The Cheer stamp set in white and adhered it using 3M foam tape. To dress it up a little, I flanked the sentiment with flowers and holly leaves from the Holly Jolly Die. The label (also from the Holly Jolly Die) is adhered with foam tape to a panel that I ran through the Fiskars Paper Crimper and distressed with white PURE COLOR Pigment Ink. Everything is adhered to a top folding A2 card base. 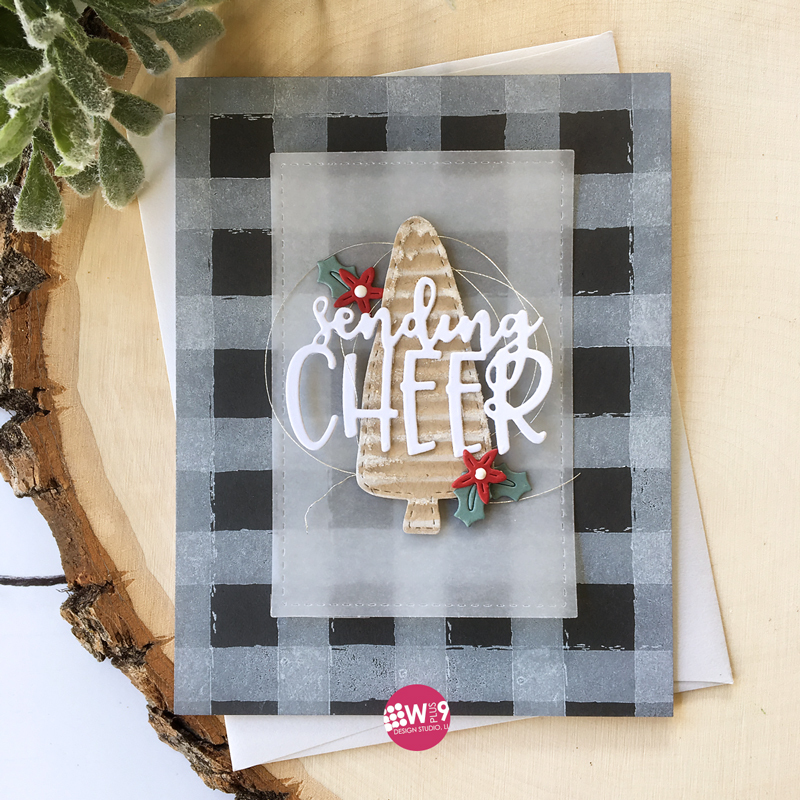 For the next card, I used the Holly Jolly Christmas stamp set to create a Buffalo Plaid background. You can check out this post for more on this set. This is a great base design to start with. So many possibilities. But today, I created a little collage of die cuts for my focal point. I die cut a tree from our Stitched Holiday Icons die in Kraft and again, sent it through the Fiskars Paper Crimper. I distressed it with a little white ink and added some Nuvo Glitter Accents. 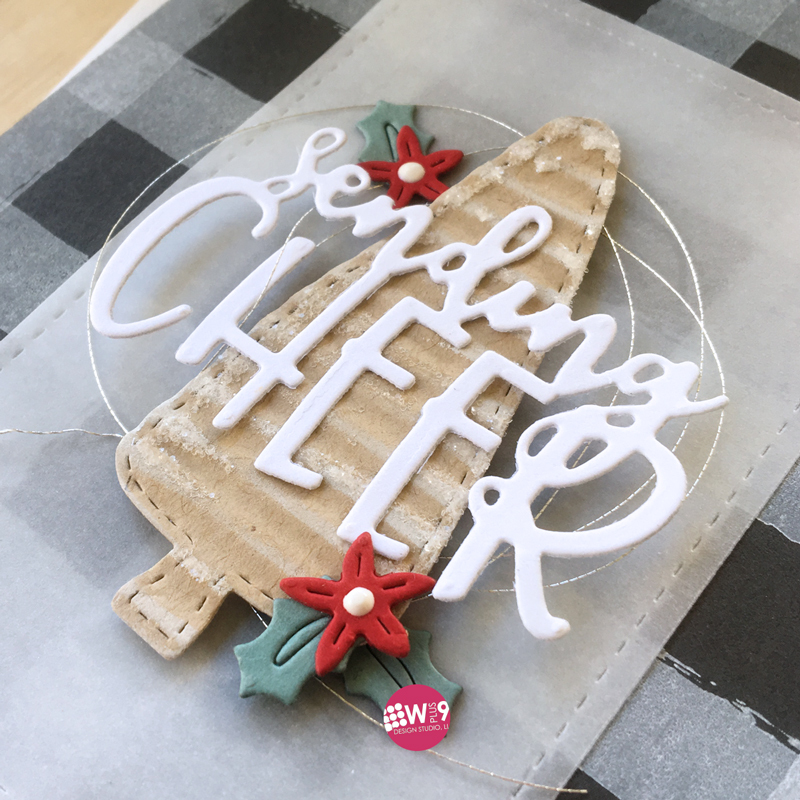 I adhered the "sending cheer" die cut directly on top and adhered my tree to a vellum panel die cut with the 4 Bar Stitched Rectangles Die. To embellish, I added some silver thread and flowers and holly. A little Nuvo Drops in White for the centers of the flowers finishes it off. I hope this gave you a bit of inspiration for you holiday cards! As always, thanks for stopping in! These non traditional colours create such festive holiday cards. Beautiful layering of elements on these cards.